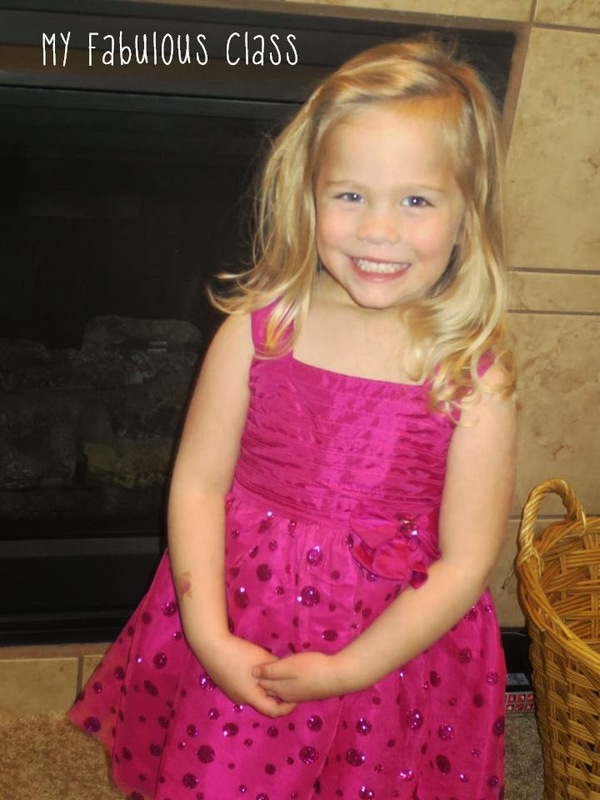 Today, my sweet baby turns 4!!!!! To celebrate, I am offering 4 products for 40% for TODAY and TOMORROW! Please remember to leave some positive feedback. It not only makes my day, but you can earn TPT credits. 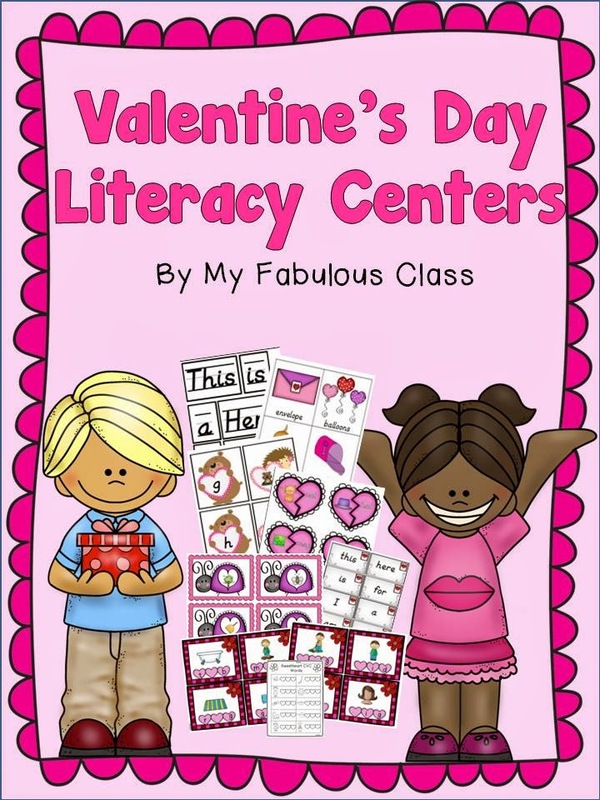 I JUST posted my Valentine's Day Literacy center. It is 6 centers and 68 pages. You can get it for on $3.40!!! 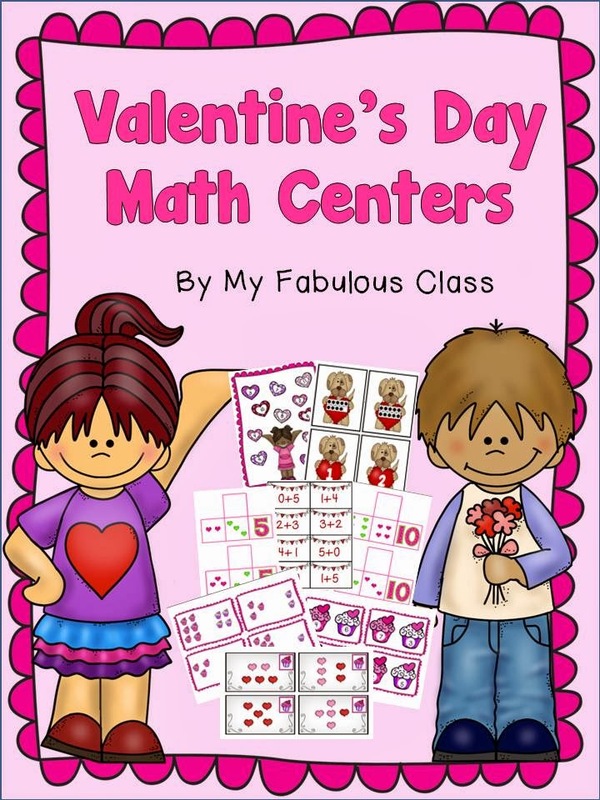 My Valentine's Day Math Unit also has 6 amazing centers. Each center comes with an I Can card. This center is only sale for 3.40 as well. 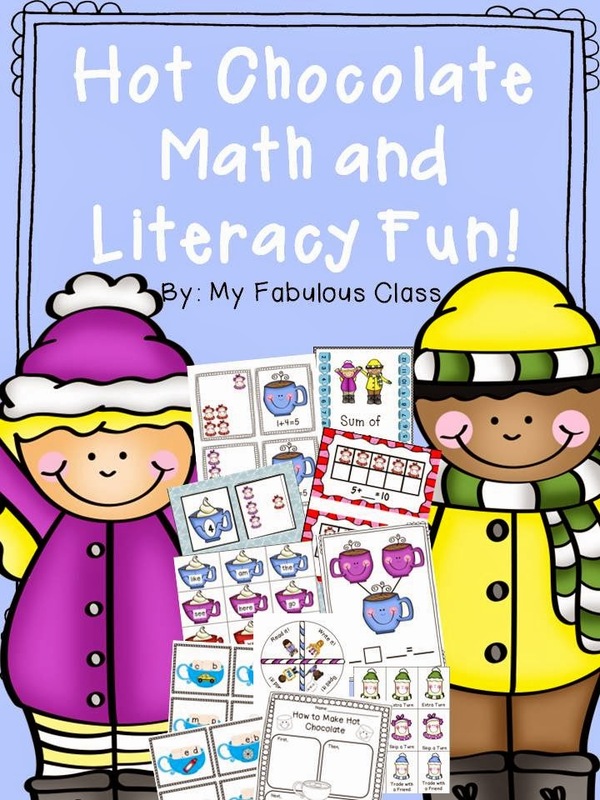 My Hot Chocolate Math and Literacy unit was a HIT in my room. I will keep several of these centers out until spring. 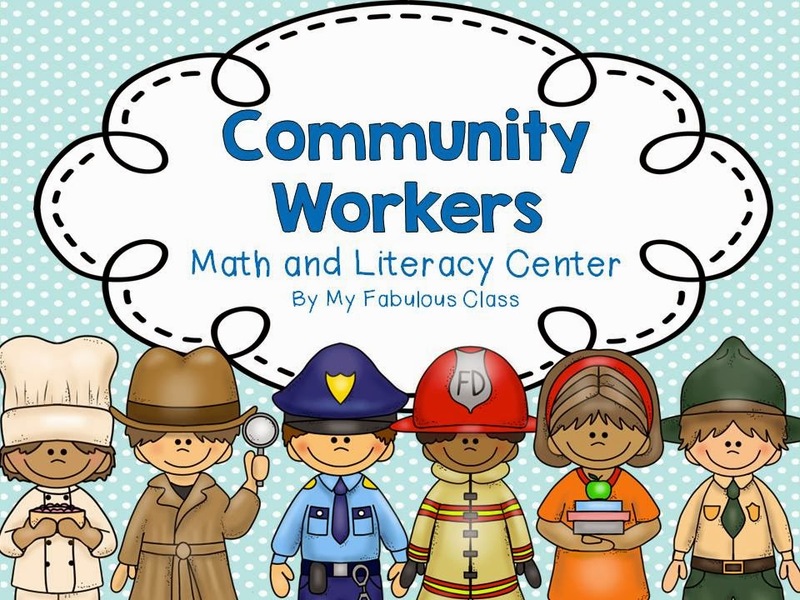 It is an amazing deal with 9 math and literacy centers. You can get it for only $3.40!!!! Today, we had a snow day. 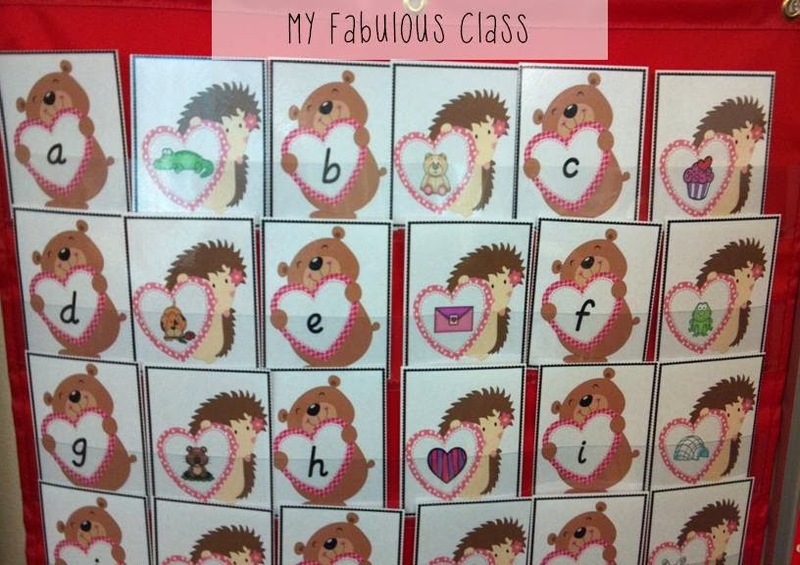 I did have a chance to introduce a few Valentine's Day centers yesterday. 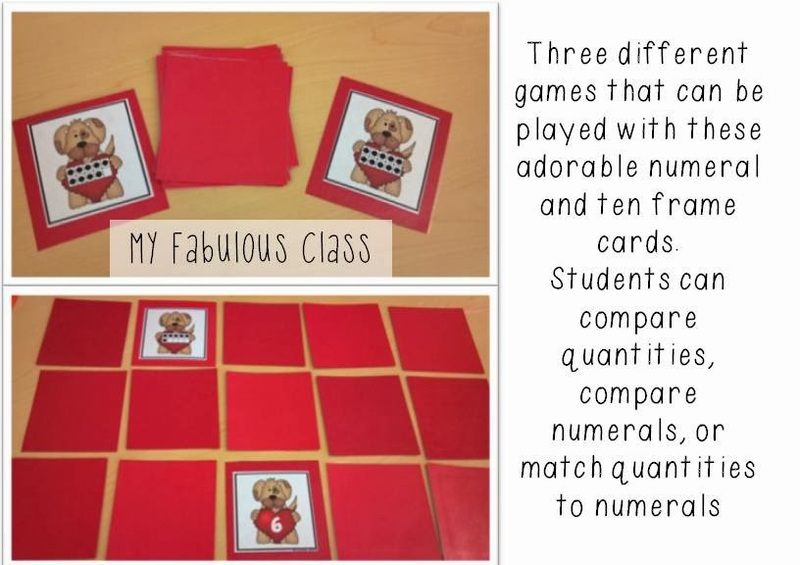 For math, we used these adorable dog ten frame cards from my Valentine's Day Math Centers. The top picture shows the War game. I made several sets of ten frame cards and i glued them on red construction paper so they would not be see through. Students divide the cards evenly and place them all upside down in front of them. They take turns flipping over cards. Who ever flips over the highest quantity wins. To switch it up, you can have the smaller quantity win or use numeral cards for an added challenge. The bottom game is a simple memory game where students can practice matching numerals to quantities. It is a great way to differentiate a center. These two centers both come from my Valentine's Day Literacy Centers. The top picture shows how I introduced the Loving My Beginning Sound Centers. First, I pulled out the picture cards and made sure students knew what they were. Then, students pulled out the card, looked for the beginning sound letter on the chart paper, and circled it. The KIDS LOVED this. I think I will do this more often. 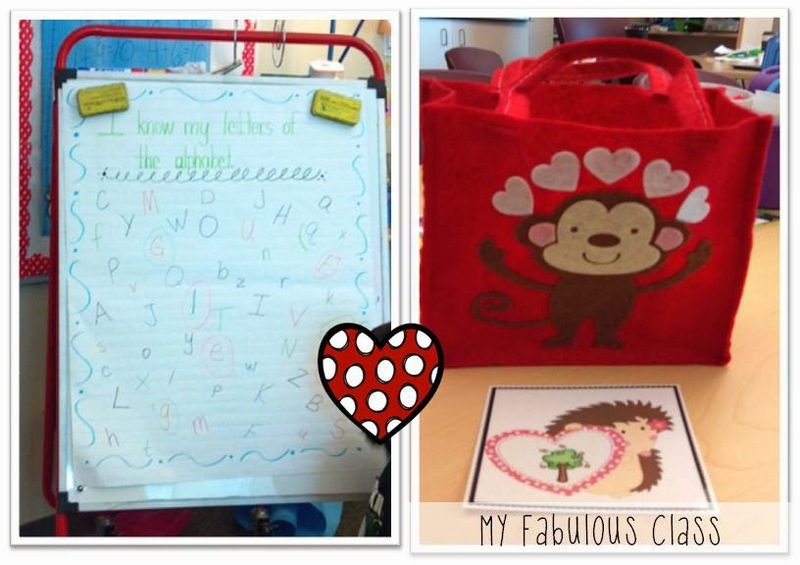 For independent practice, I had students match the letters and pictures in the pocket chart. Happy Birthday to your baby! I scooped up the Hot Chocolate Fun! I also wanted to let you know that I put one of your Valentine's games on my blog today!